Every business and organization has visitors. Some just get a few package and food deliveries. Others have customers, vendors and interview candidates streaming in and out all day. How offices manage visitors can be as varied as the organizations themselves. For some, the process of visitor check-in is regimented and formal. For others, handling guests is a fly-by-the-seat-of-the-pants affair. Regardless of the visitor management system, there are certain aspects to the process of handling guests that are common across the board. Most are done so quickly that sometimes very little thought goes into the process at all. Each step, however, is important to the functioning of your organization, the safety of your employees and data, the comfort of the guest and -- most importantly -- the overall efficiency of time spent. In this six-part series about the visitor management process, we’ll break down each step of the process, explain why it is important, and give examples of different methods for effectively accomplishing the end goal - great first impressions, productivity and safety. Have you ever walked into a restaurant or other place of business, looked around and had no idea what you were supposed to do next? No one said hello. No sign directed you to “Order at the Window” or “Please seat yourself.” No directory on the wall pointed you to a visitor desk. Most guests in that situation will do one of three things: 1) they’ll wander around awkwardly and watch what other people do; 2) they’ll ask someone for help; or 3) they’ll turn around and leave. This is an obvious failure of the organization to accomplish the first step in the visitor management process: recognizing that visitors will come to your organization and they will need tools to make the initial moments of that visit comfortable and pleasant. We all know it is easier to remember negative experiences. Visitors who feel confused, lost or unwelcome may never want to return, and even worse, may tell others about their treatment. People have an inherent need to be recognized. The first step of recognizing visitors can be easy as saying, “hello”, having a sign that reads “Welcome Visitors” or a welcome screen that informs visitors of their next step. Not every location needs to roll out the red carpet for visitors, but every location needs to acknowledge the visitors who do walk through the door. Every organization has different ways of recognizing guests, and they range from very hands-on and labor intensive, to reception automation. Some methods can be combined for maximum impact. Historically, the most common method used by organizations to make guests feel recognized was to use people. There are really three types of personnel employed to greet visitors. Dedicated receptionist: The dedicated receptionist’s primary job is to welcome visitors and perhaps answer incoming phone calls. They often have minimal responsibilities outside of assisting guests. The greeter at Wal-Mart has minimal duties beyond saying hello and checking the occasional receipt. In some locations where security is a concern, the dedicated person might be a security guard, or a door-person. Semi-dedicated receptionist: The difference between a dedicated and a semi-dedicated receptionist is one of responsibilities. A semi-dedicated receptionist is stationed near the door and expected to greet guests as part of the job description (or, maybe they forgot to mention that part), but also has other responsibilities. Most administrative assistants fall into this category. They are expected to greet walk-in guests, answer phones, and perform other tasks, like write letters, manage calendars, set up meetings, and sometimes accomplish large projects. It is surprisingly hard to resume these other responsibilities after interruptions. Informal/unrecognized receptionist: This is perhaps the least considered visitor welcome method, but is, unfortunately, a very common one. The unrecognized receptionist is often a junior employee with a functional role - human resources, accounting, office management - a person who has their own list of priorities. But in today’s modern office happens to sit in a desk by the door. Depending on the number of walk-ins every day, unrecognized receptionists find themselves interrupting important tasks to help guests find their way. Whether they tell you or not, the unrecognized receptionist HATES IT. They resent the guests and the interruptions and prefer to just get their own work done. Using people to greet guests has the advantage of bringing a personal touch to the welcome process. A warm smile, and a “how may I help you?” can provide the start to a truly positive experience. On the other hand, using people is expensive. You have the direct cost of a dedicated receptionist who is paid primarily to greet guests. Or, if you prefer, you have the high cost of productivity lost for semi-dedicated and informal receptionists. And in the case where you have a less-than-effective receptionist – one who greets people gruffly because they are tired of being interrupted – the cost could be greater in terms of negative attitudes toward your organization. Visitors don’t always want or need to talk to a person to feel welcome. Organizations can spare employee time and save money by making effective use of the following methods for greeting guests. 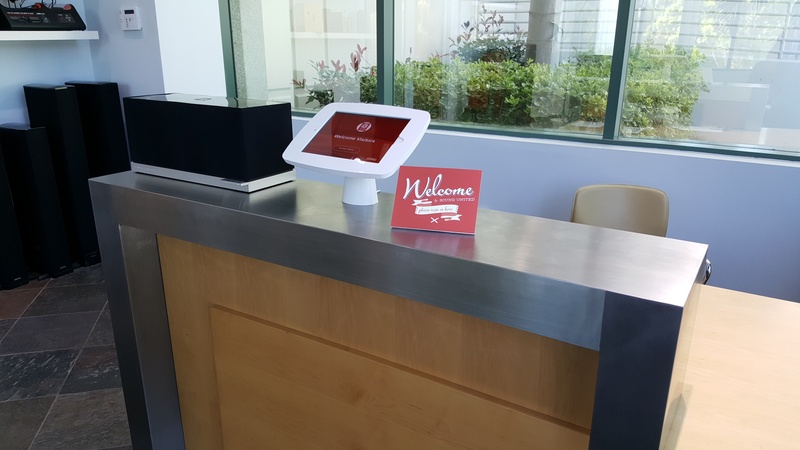 Automated receptionists: More and more locations are taking advantage of automation in order to greet and assist guests. It is common to see airport check-in kiosks, visitor registration kiosks, informational kiosks in visitor centers and libraries, self-ordering stations at fast-food restaurants. Even just an automated announcement connected to your door - “Welcome, please turn right and proceed to the counter” - tells visitors they are expected and what they are supposed to do. Modern offices are rapidly adopting visitor check-in apps to create strong impressions and improve efficiency. Signage: Prominent signs bridge important gaps for visitors. Posted directories, plaques that identify visitor check-in locations or information desks, and directional signs all help visitors to feel comfortable. Automated receptionists and signage have the advantage of being relatively permanent, tireless, and available 24 hours a day. The cost is far less than paying a dedicated person. Also, as crazy as it sounds, people don’t always like talking to people. Being able to use a kiosk or signage is often preferable to having to ask someone for directions. Signs and kiosks may not be able to deliver the warmth of a smile, but they can direct visitors to the person most likely to give them that smile. You guessed it, there is no single "best way". Rather, the best option to greet guests varies by organization, but all of the most effective methods ensure that the guest is acknowledged, either by a sign or a smile. Visitors should feel welcome, and confident that they can accomplish what they came to do. 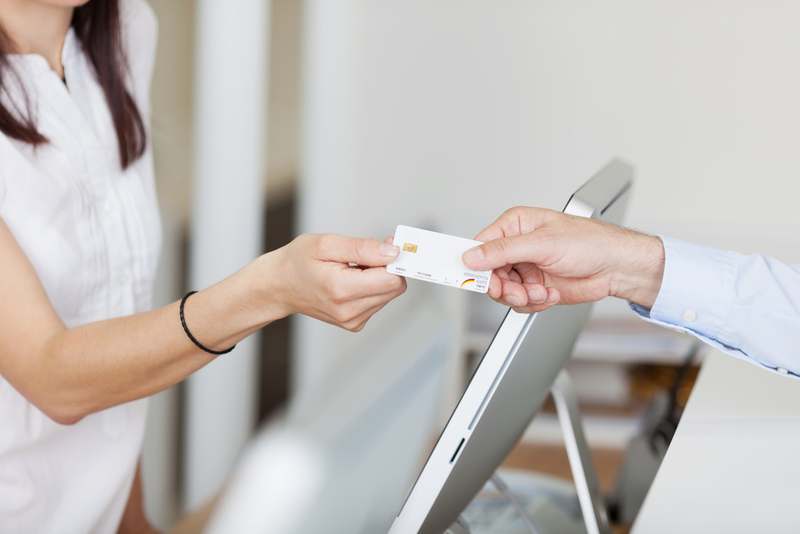 Using forethought and planning, you can ensure your organization recognizes visitors as part your visitor management process.